You can never go wrong with classic style! Channel Audrey Hepburn in Breakfast at Tiffany's and there you have it-TIMELESS. This look is versatile and can be worn to the office, a date night dinner or any other fun evening event. Totally agree...classic looks are always in. Love the pop of color through the red necklace! Umm I want all of these!! 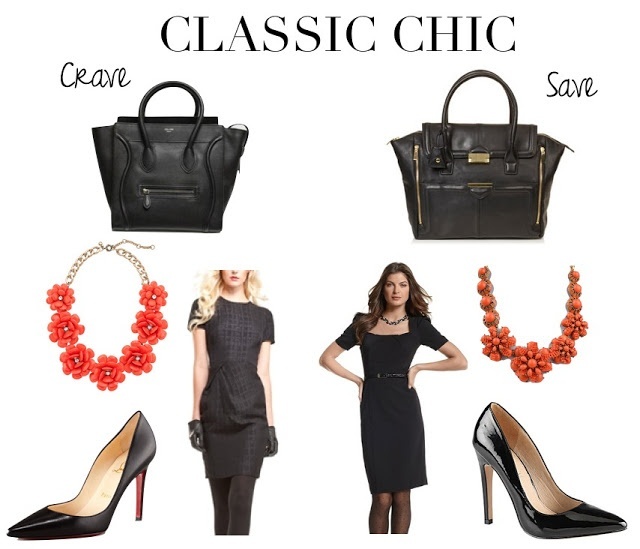 Classic versatile looks will never go out of style..
How can you not love the classic LBD and pumps? That J. Crew necklace is gorgeous - love this! Lovely post! I've been looking for a similar bag and now I finally found a place to buy it. Thanks. Great job with this crave and save!